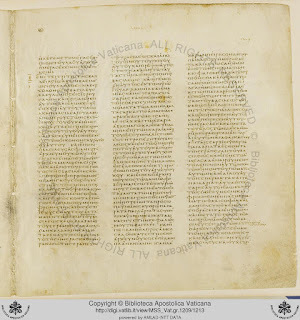 Over on his blog, Richard Fellows has written up the results of his measurements of the paragraphoi in Vaticanus and plotted them against the measurements of Philip Payne from his recent NTS article. Fellows has linked to his blog in the comments of my last post about it but I thought they were worth highlighting here. In short, he has found that Payne’s “characteristic bars” are not actually characteristic. What we can conclude is that the peer review process has failed us yet again. The measurement errors and questionable statistical method should have been spotted by reviewers. We can also conclude that online discussion can make much faster progress then peer reviewed journals. The blog posts and comments on the ETC blog have advanced the debate, in large part because Philip Payne and others have been so willing to share their ideas and data. He has also exchanged multiple emails with me. If only all scholars were as willing to engage in online and offline discussion! Payne has suggested that the discrepancy may be because Fellows is using the online images whereas Payne has access to the excellent facsimile. Certainly, that could be a factor. But I do not think that is the main issue here. The problem is that we are measuring in millimeters in the first place. What we have is a case of what Charles Seife calls “proofiness,” an improper use of measurements in statistics. The question is not whether we can measure these paragraphoi in millimeters and attach meaning to the differences we find, it’s whether we should in the first place. To my mind, it’s a bit like saying that eating Whataburger will make you 50% happier. It might be true, but measuring happiness in percentages is the wrong way to prove the point. As Pete Head says, “I don’t think the length of the bars or their distance from anything is of any significance whatsoever. These are written by hand!” Are we to imagine the scribe of 03 using a ruler to make them? Of course not. So a ruler is probably not the right tool for the job. Perusal of the LDAB over the past several days has yielded some interesting results in researching the contents of “NT MSS.” In the process, it has become clear that the Nestle-Aland edition and, even the Liste, describe MS contents in an unhelpful way, if one is looking at their listings for documentary evidence within the MSS. 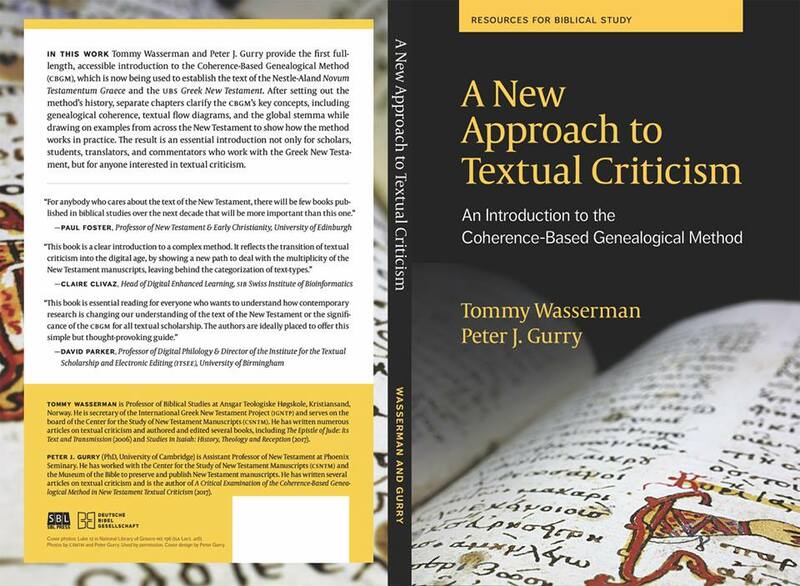 If one is looking at matters from a NT text perspective, then these resources helpfully supply the contents within MSS for the NT books. For example, we are told in NA 27-28, that P6 (04C [= Liste] or 05C [= LDAB]) contains sections of John. The Liste confirms this and adds James 1:13-5:20. Now, if one reads all of the entry in the Liste, one will find the LDAB number with a link to its entry. What one finds on this page is different from the Liste’s page. Here, we are not even told the MS is P6. We are given archive and library numbers (Strasbourg, Bibliothèque Nationale P. k. 362 + Strasbourg, Bibliothèque Nationale P. k. 375 -379 + Strasbourg, Bibliothèque Nationale P. k. 381 + Strasbourg, Bibliothèque Nationale P. k. 382 + Strasbourg, Bibliothèque Nationale P. k. 384) and are also told that the contents of the MS include 1 Clement 1-26 (Copt. ), James 1-13 (Copt. ; note the mistake in reference numbers that are corrected by the Liste to James 1.13-5.20), Gospel of John 10, 11-13 (Gr.-Copt. ; the Liste has more to say about the exact contents). Both the Liste and the LDAB provide links to the other’s site, which is helpful. By using both databases, we learn P6 contains sections of John (Gr.-Copt. ), James (Copt. ), and 1 Clement 1-26 (Copt.). NA lists only the Greek portions of the MS. NA does not list the evidence of James because it is probably in Coptic (I have not checked this). The Liste includes all evidence for the text of the NT. Most interestingly, LDAB includes 1 Clement (Copt.) as part of this “NT MS,” while neither the Liste nor NA provide that information. I’m not sure there’s a perfect database out there designed to meet all of our needs. At this point, it will be helpful to realize there are several wonderful, free resources on the Web to aid us in our varied research endeavors. We all know Matthew’s citation of Hosea 11:1 in Matthew 2:15, ‘Out of Egypt I called my son’ ἐξ Αἰγύπτου ἐκάλεσα τὸν υἱόν μου. The exact form of the citation is not how you find it in your Septuaginta as edited by Rahlfs, which reads ἐξ Αἰγύπτου μετεκάλεσα τὰ τέκνα αὐτοῦ. A reasonably straightforward conclusion might be that Matthew translated straight from the Hebrew, which reads וּמִמִּצְרַ֖יִם קָרָ֥אתִי לִבְנִֽי. Wouldn’t it be nice to see how other translators rendered the Hebrew? Enter Origen’s Hexapla, a third-century work setting the Hebrew, a transliteration into Greek, and four different Greek versions in parallel columns next to one another. 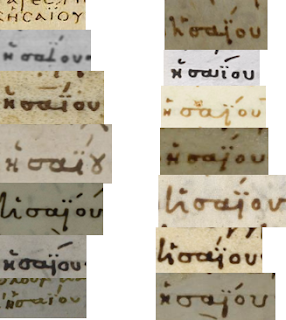 Besides some rewritten fragments, most of the Hexapla is still lost though we have quite a few marginal comments. 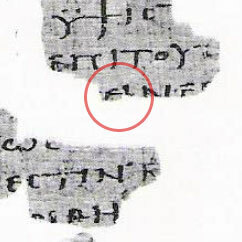 The first line gives the title of this little sub-section ἐκ τῶν ἑξαπλῶν, ‘from the Hexapla’. The next line gives us five sections, which are the five columns of the Hexapla written in Greek letters. First, we get the transliteration, then the reading of Aquila (marked by α), followed by Symmachus (ς), the Seventy (oἱ ο̃), and Theodotion (θ); for νιπιος read νηπιος, note the nomen sacrum ιηλ for ισραηλ (as in the transliteration ισραηλ). In the next two lines Theodotion’s reading is apparently the same as first Aquila’s and then Symachus’s, though it is convenient that the otherwise too long a line now fits on a single one. We see the various translations diverging: ἀπό and ἐξ, the presence of the conjunction καί, and in the next line, after ἐκάλεσα, Theodotion adds αὐτόν. This becomes important when we take this together with the next line, as Theodotion reads ἐκάλεσα αὐτὸν ὑιόν μου, ‘I called him as my son’. In the son line (starting with the transliteration λαβανι), only the reading of Aquila contains a nomen sacrum for ὑιόν, but that seems to me a scribal phenomenon more than anything else. As things stand, none of the versions follows Matthew exactly, though every element in Matthew is reflected somewhere. There is little remarkable going on here as this is a basic sentence in which you cannot do that much wrong. There is of course always the possibility that things have gone wrong in the transmission of the Hexapla, so that we may not have the exact texts of the Greek versions, or already in the texts that Origen had available wording may be corrupted. Did Theodotion really read αὐτόν or is this a corruption of the article τόν as in Aquila and Matthew? 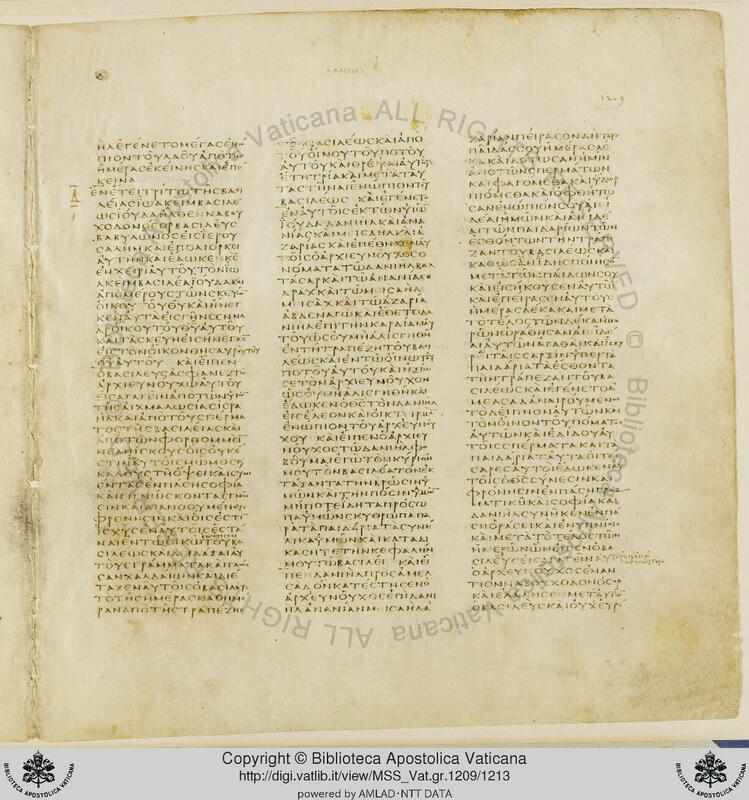 Anyway, once the commentator has given this fragment of the Hexapla, he continues saying that Matthew did the same. It is fun, I think, to see that at times New Testament text and the sometimes arcane field of Hexaplaric studies come close to overlapping. And perhaps more of us could use this example in our ‘Old Testament in the New’ lectures. The website contains freely downloadable resources and pointers to further information about the Byzantine Majority text. Audio downloads of the entire Greek New Testament Byzantine text (1991 edition), spoken by Maurice A. Robinson. A downloadable Reader's edition, as prepared by Jeffrey Dodson in consultation with Maurice A. Robinson. 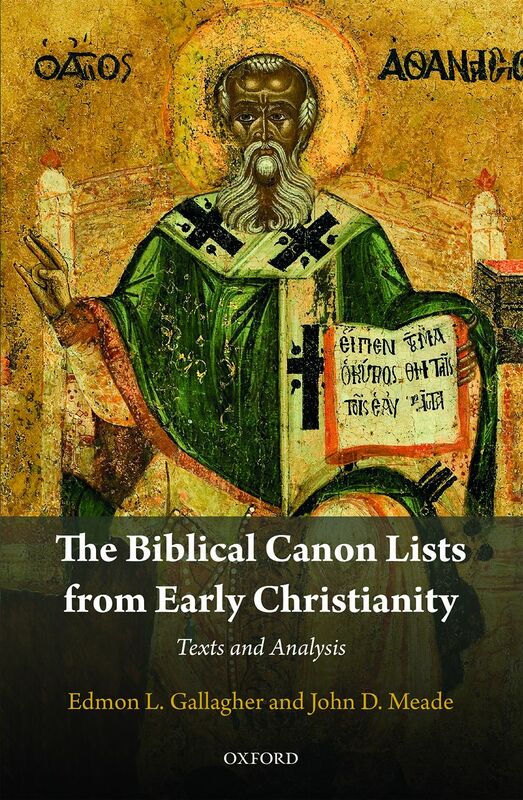 Select bibliographies of articles and books on the Byzantine Text. 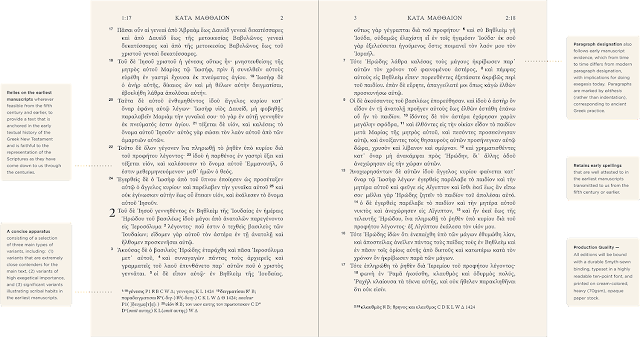 Downloadable editions of the Byzantine and other Greek New Testament texts. For developers, the website is accompanied by an official GitHub repository for Dr. Robinson's various resources, https://github.com/byztxt/. The repository will be updated in close collaboration with Dr. Robinson as he makes updates available. The repository includes Greek New Testament texts with morphological parsings and Strong's numbers, documentation, and a library written in the Python programming language for reading these texts. The team behind the website and GitHub repository comprises Ulrik Sandborg-Petersen and Daniel J. Mount, in close collaboration with Maurice A. Robinson. Georgi Parpulov has announced the 7th Lincoln College Summer School of Greek Palaeography. The school is intended for students of Classics, Patristics, Theology, Biblical or Byzantine Studies. Potential applicants are advised that it only offers introductory-level instruction in Greek palaeography and codicology. Adequate knowledge of Greek is a must for all students. More info is here. The deadline to apply is January 15, 2018. UPDATE: this conversation is inching along with Michael Kruger’s response to my post here. I probably won’t pursue the matter any further with him presently due to time constraints. I do think matters have been well presented on both sides, even if there are lingering questions we may have for one another. Overall, I have appreciated the conversation with Kruger and think it has highlighted different aspects of method for determining and describing the ancients’ biblical theory. 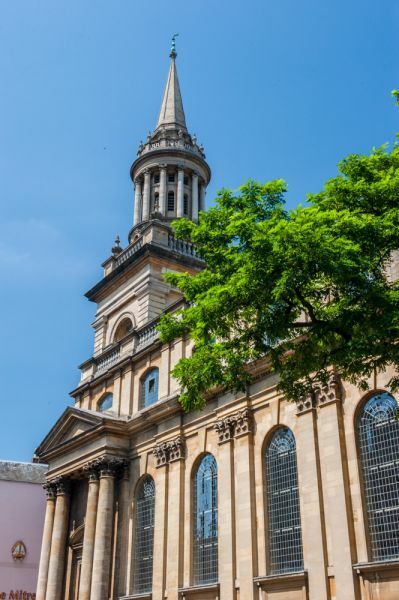 My post a few days ago has attracted some attention; most significantly, it has prompted Michael Kruger to respond, which you can read on his own blog here. Before I reply to him, I do want to affirm what Kruger says in his last paragraph: we probably do agree on more than we disagree. 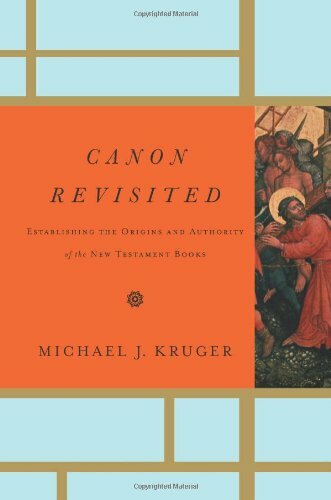 However, I think I have read Kruger carefully, and I restrict my response to method and the Shepherd. 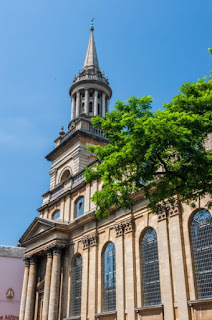 cross posted from the blog The Greek New Testament. Post by P.J. Williams. The question of whether to give Abraham a rough or smooth breathing is difficult. Manuscripts differ. We could say that it begins with aleph and that aleph = smooth breathing. The problem with this is that it’s sheer prejudice. We don’t have data which show a regular alignment between aleph and smooth breathing. OK, you say, but rough breathing = aspiration, and we know from lots of languages, the original Hebrew, and the NT versions of Armenian, Coptic, Gothic, Latin, Syriac, etc., that it wasn’t represented by aspiration in those scripts. Fair point, but it still doesn’t settle the question of how it was (a) pronounced in Greek; (b) written by educated scribes. Look at Liddell and Scott and you’ll see that, if you exclude alpha privatives, ἁβρ- (perhaps with the rough breathing representing Proto-Indoeuropean s) is a more common Greek word beginning than ἀβρ-, so why should Greek not use the rough breathing here and make Abraham sound a little more native? Now look at some manuscripts for Matthew 1:1 and note the first 12 sources I come across. 688 has one of each! So it seems that the rough breathing is preponderant. How do we decide which to print? That’s tough, but we know that the accentor of B was really smart and I value him more than the accentor of D (Claromontanus). So with a bit of hesitation, we choose the rough breathing as representing the stronger learned tradition for Greek breathings. Now we’re not thereby saying that anyone ever pronounced this with aspiration. Maybe they did, maybe they didn’t. Nor are we saying that this was pronounced with aspiration at the time of the NT. We’re just saying this: if you’re going to bother having breathings at all, they need to be there to give readers historical information which comes from manuscripts rather than from the heads of editors. Any reader who’s studied Hebrew knows that Abraham’s name in Hebrew begins with an aleph. They don’t need an NT editor to tell them that. What may be of more interest is for them to know that the strongest learned tradition of breathing in Greek is for Abraham to have a rough breathing. What we’re printing here is not odd or a novelty. It was also what Erasmus printed and other early editions of the TR (which of course were closely based on the manuscripts available at the time). It’s also what you’ll sometimes find, for instance, in Niese’s edition of Josephus that Abraham is Ἅβραμος, given not only the nice Greek ending, but the nice Greek beginning of a rough breathing, in line with the mss. So in making an edition where we try to model everything we can off the manuscripts we decided on balance to use a rough breathing for this name. It’s not necessarily a big deal, except that users may like to know that thought, care, and above all, documentary evidence has gone into decisions like these. One of the claims we’re making in the THGNT is that at the time of the New Testament there was a distinction (or at least a partially preserved distinction) between short and long [i], with the latter sometimes represented by ει. In due time we’ll publish more data backing up this claim. Here I’ll just start with the spelling of the word γίνομαι which in Luke we believe should be spelled γεινομαι, or blending later accent with earlier letters (we explain how accents and letters are separate ‘layers’ in our edition) γείνομαι. Here are some data on early spelling. γιν is only supported by 01 04 032, of which we know that 01 has an overwhelming preference for iota in many instances where other mss have epsilon-iota. 04 is fifth century and sometimes supports epsilon iota and 032 may not be as early as the rest and still favours γειν more often than γιν. Against the 3 relatively weak witnesses for γιν we have 7 for γειν. In only 6 of the 17 occurrences in Luke is there earlyish support for γιν. In the rest there is none. γεινομαι was the normal spelling in Luke. It’s not a misspelling, but a prestigious koine spelling used by careful scribes to bring out the long vowel which arose when the second gamma of the Classical form γιγνομαι was dropped. You can call it a ‘historic spelling’ if you like and claim it has nothing to do with pronunciation, but that just makes the scribes smarter that they were able to preserve into the fourth and fifth centuries spellings representing pronunciations which were no longer current. There is one incredibly overused word in this context, which is the word itacism. We can only claim that such has occurred when we understand the standard and conventions which scribes were seeking to attain and are able to demonstrate that they missed it. Itacism certainly occurs often enough in some mss, e.g. 01, but many instances when this is claimed are nothing of the sort. The Times of Israel has a lengthy article out yesterday on forged Dead Sea Scrolls in the Museum of the Bible collection, the Schøyen collection, and elsewhere. Here are a few snippets, but the whole article is worth reading. One scholar working on it calls this the Gospel of Jesus’ Wife “times 70” in terms of its importance. Far from ignoring the forgery assertions, the Museum of the Bible is sponsoring Davis’s research and that of other scholars. 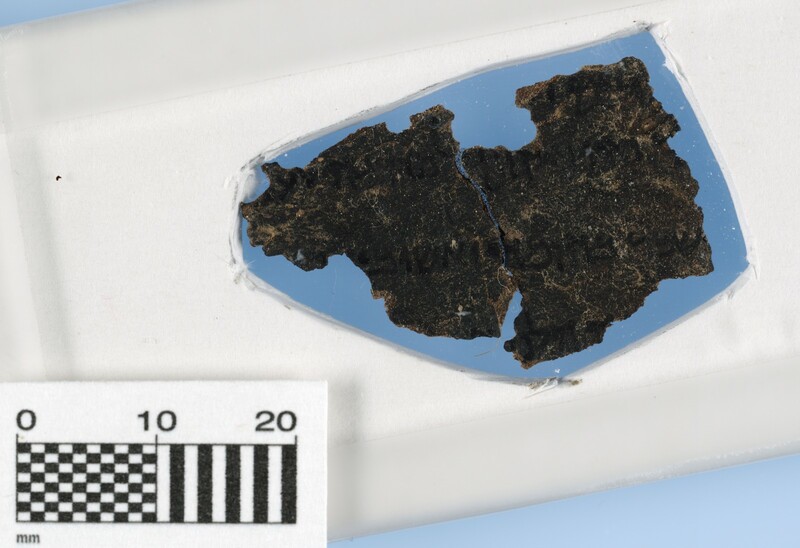 Årstein Justnes, a professor of Biblical Studies at the University of Agder, Norway, has built the blogsite The Lying Pen of Scribes to document for free public use the mounting evidence of forgeries in the post-2002 Dead Sea Scroll-like fragments. 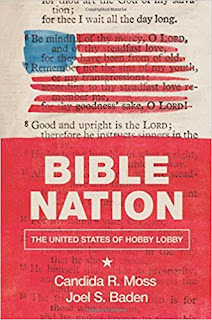 “The sellers of these fragments have preyed on the well-meaning faith of Evangelical Christians who are compelled by the idea of owning a piece of ‘the Bible that Jesus read,’” said Davis. A couple reflections. It is good to see the Museum and the Schøyen collection investing in the effort to vet their own collections here even if that means they turn out to not be what they thought. 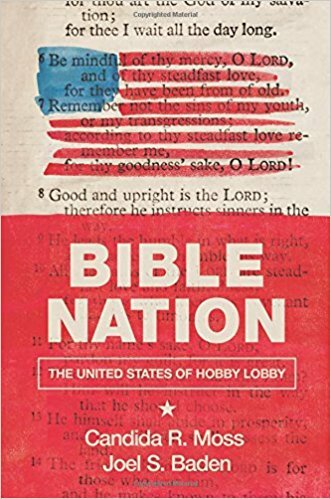 It is not so good, however, to see Evangelical schools being duped into buying these. I remember being at Southwestern Baptist Theological Seminary when they unveiled some of their fragments and it was all quite exciting. It’s obviously not so exciting if they turn out to be forged. For more from the blog on all this, see our past posts on the MOTB DSS publication, DSS forgeries in Bible software, curious DSS recently bought in the US; and various current projects on forgery. For those who like detailed philology, I’d like to highlight the post by the extremely learned Patrick James over at the Greek New Testament, Produced at Tyndale House blog. 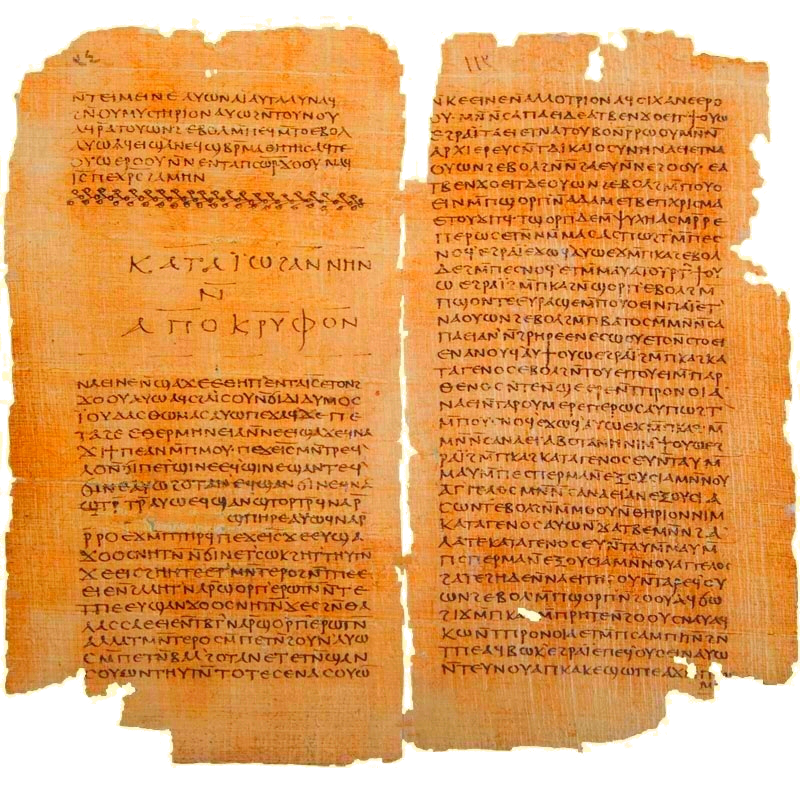 The brief summary: print φιλονικία in Luke 22:24 (against all editions) but φιλόνεικος in 1 Corinthians 11:16. The blog post is definitely worthy of a journal, but a journal wouldn’t give such good access to the images.